Scooped neck in a fashion fit. 100% ringspun cotton is super soft in 1x1 baby rib knit. "love the shirt, runs slightly small. Hope we can get them again with the design corrected." 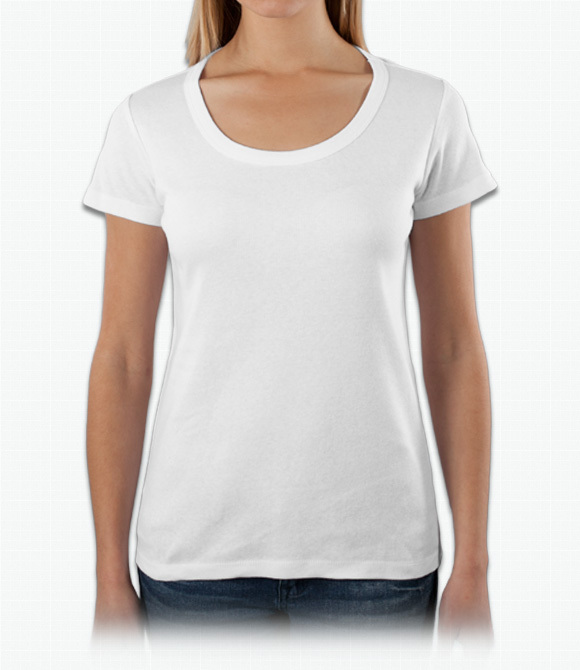 "This Bella Ladies shirt is soft and a nice style, however, I would recommend ordering a size up than your normal size and it does run a bit snug." "The quality is good. However, I did not get the chosen color from you website. "